Now for the physical product. There are a number of extras in the box that I figured would be useful to me no matter what. Extra battle mat, cardboard miniatures, set of dice. The miniatures especially will helpful as I am still running my 4E-derived game, and my players love their tactical combats. They are heavy enough to feel like they won’t be falling over all the time during play, unlike anything I would be able to print out and make on my own. 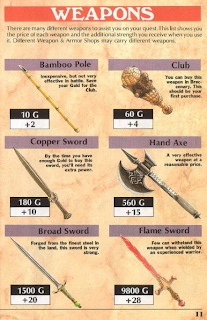 These were popular enough that Paizo is planning to release a standalone Bestiary Box this summer. The only downside is they did not include as many bases as minis, so you have to swap the bases around, which I imagine might wear out the cardstock after a while. The box itself is very nice, and I don’t mean the cover art (though that is good too). It feels very sturdy, and is quite deep without being bulky. I might even start using it to transport my gaming materials as I have been trying to reduce the quantity of stuff that I bring to sessions. I like making arbitrary rules, so I give you THE PATHFINDER BEGINNER BOX RULE: everything needed for a gaming session must fit inside the Beginner Box such that it closes entirely. This includes notes, dice, campaign notebook, miniatures, writing implement, etc. It could easily fit a set of hardcover D&D core books in terms of the depth, but for some reason the dimensions are such that it is a bit too small (even for Pathfinder-branded hardcovers, which seems like a strange design decision). If I was going to buy an intro RPG product for someone, and I thought they could handle it, I would buy them the LotFP Grindhouse Edition. The Pathfinder Beginner Box would be my second choice, I think, despite the risk of embedding the combat grid in a new player’s consciousness. This entry was posted in Reviews and tagged Pathfinder on April 23, 2012 by Necropraxis. Your dungeon maps don’t need to look professionally drawn like the map for Black Fang’s Dungeon—the hand-drawn map of Raven’s Watch works just as well. This is a strategy used several places in the Beginner Box; they lead with glitz and then qualify their recommendations further on, and it works well most of the time. 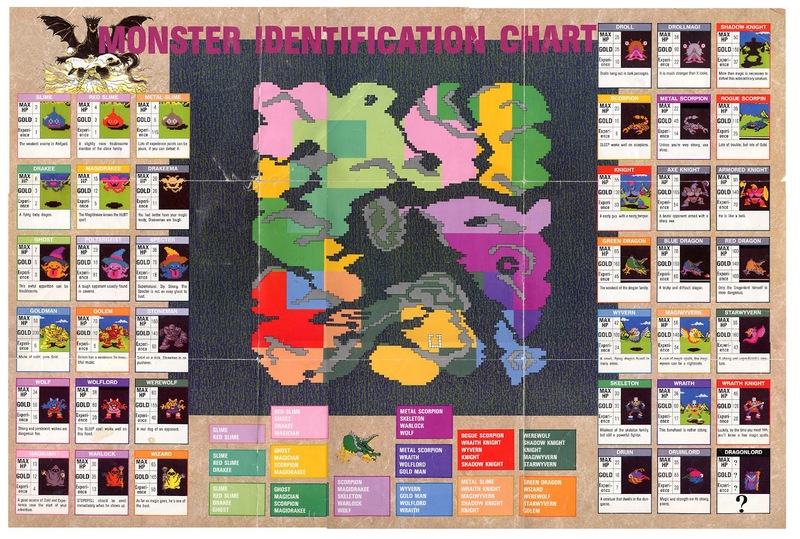 There is a decent selection of monsters (forty-something) and some of them are moderately high CR, but there is not as much variety or content as the old basic sets. 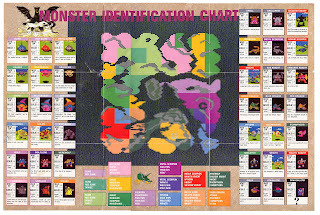 Each monster entry takes half of a page. The higher-CR monsters include salamander (CR 6), medusa (CR 7), manticore (CR 5), mummy (CR 5), ghost (CR7), and black dragon (CR 8). There is a bias towards enemies that can be defeated directly, but at least they included some stretch targets. And poison is so weak now. If you fail your save against giant spider venom you get all of a -1 on attack and damage rolls (cumulative if you get hit again). Seriously, that’s it. The XP rewards for defeating monsters are off the charts! A ½ CR zombie gives 200 XP. I guess that’s what happens when you take away treasure XP, but I would think that some of the slack would be picked up by XP for solving puzzles, surviving traps, and achieving other goals. I think OD&D gives 100 XP per hit die, but those monsters are far deadlier. Using the rules as written, I bet PCs would level really quickly. 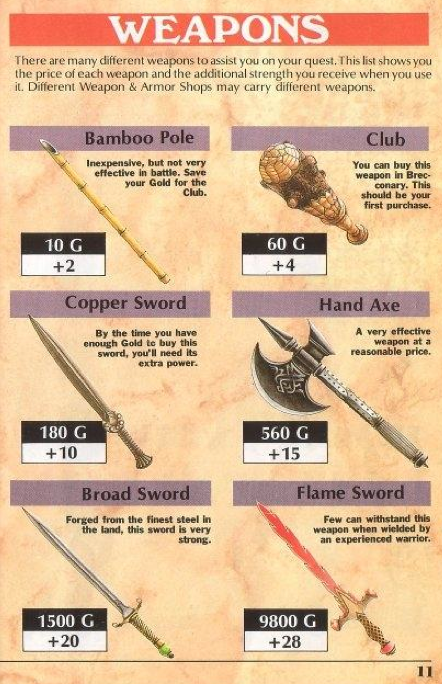 Just like the weapons chart that I mentioned in the previous post, these monster listings also somehow gave me the feeling of old console RPG supplements, like the Dragon Warrior poster below. By using the random encounter tables for that terrain, you can create fun battles for the PCs without putting in a lot of work. 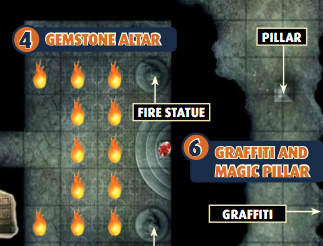 Although these tables are filled with monsters, you can have interesting non-combat random encounters, such as a strange statue, corpses from a battle, religious pilgrims looking for a shrine, and so on. It would be nice if they had emphasized that not all monster encounters need to be combat either. Speaking of which, I really feel the lack of the traditional social mechanics. There are no rules for retainers, encounter reactions, or morale. This is the single biggest shortcoming of Pathfinder. Of course, it would not be that hard to house rule them in, though you would need to make up appropriate morale numbers. I also miss the “number appearing” and “percent chance in lair” info. I think it might be fun to use literally nothing outside of the Beginner Box for a game. Use the town of Sandpoint and the surrounding hinterlands. Populate them using all of the entries on the d12 table of “dungeon storylines” and the seven sample “additional quests.” And make sure all the monsters have a place. Maybe roll for enmities. Another attractive option that comes to mind is to use the Third Edition Necromancer Games world and modules, but still cap the PC level at 5. So, if the player’s want to take on the harder challenges, they will need to be very creative. 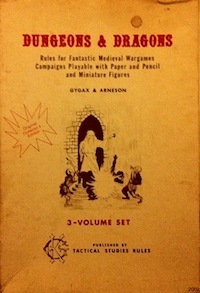 This entry was posted in Reviews and tagged Pathfinder on April 20, 2012 by Necropraxis.